Aviation and aerospace stocks have found themselves in some crosswinds. On the one hand, they’ve enjoyed an amazing run in recent years. On the commercial side of the business, order activity has soared. Airlines have gone on a spending spree. Thanks to plunging jet fuel prices, airlines have earned unusually large profits and are taking advantage of the windfall to modernize their fleets. That said, with the oil market on the mend, commercial airlines are likely to see profits start to revert toward normal. On the military side, Trump’s rise has been a positive for the industry. Hardly a week goes by where Trump or Vice President Pence aren’t talking about how much they love the military and the soldiers on Twitter. Additionally, the more militant stance of the U.S. is causing other countries to beef up their forces as well — Trump’s demands on NATO allies to increase spending could bring in more orders, for example. However, it’s hard to forecast how geopolitics will go in the future. Upcoming elections could greatly change the outlook for defense spending. On the commercial side, airline profits are going to start looking much worse if fuel prices stay where they are now. The sector has been hot, but expect more modest returns going forward. Against that backdrop, what aviation and aerospace stocks are still worth having on your watchlist? If you’ve owned Lockheed Martin (NYSE:LMT) for the long-haul, it has been an amazing ride. Five years ago, LMT stock traded at $120. It hit $360 earlier this year. For investors wanting to buy into the action, however, it has been a frustrating time. Lockheed has hardly ever corrected — with the stock going straight up, there have been no dips to get in on. However, the recent drop from $363 to $322 hardly constitutes a major decline, but it does give us another chance at Lockheed. LMT stock is now back to selling under 20x forward earnings. That doesn’t make it cheap, exactly, but it’s reasonable given overall market conditions. 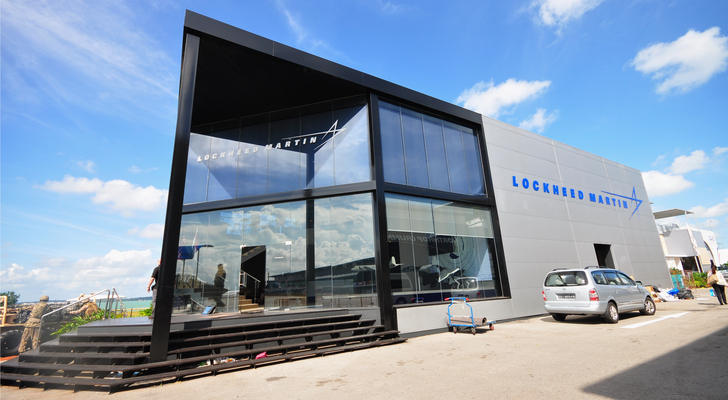 As for Lockheed’s business, it retains a huge competitive advantage. It gets about 60% of its revenues from U.S. Department of Defense contracts. Much of that, in turn, comes from orders where there is literally no competition, as no other company is qualified to bid in certain niches. Other lines of business, such as nuclear missile contracts, are highly confidential, proprietary and difficult for competition to encroach upon. As long as the U.S. remains the world’s superpower, it’s hard to see Lockheed stock performing too poorly. 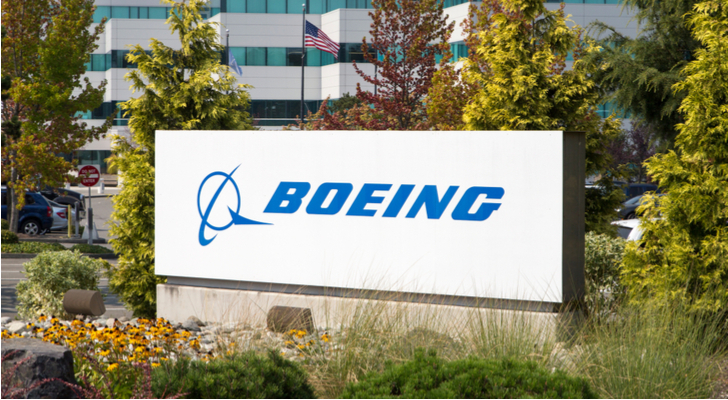 When talking about aerospace stocks to buy, there’s no avoiding the most reliable blue chip of the sector: Boeing (NYSE:BA). Sure, BA stock looks expensive at the moment. But, bears have been saying that Boeing seems overpriced since Trump took office. That didn’t stop it from running up another 47% in the past twelve months alone. BA stock is now at 24x trailing and 20x forward earnings. That’s a pretty rich multiple. Normally, you’d expect a large-cap industrial during an up cycle to trade at a lower valuation. But there’s an argument to be made for this still being reasonably early in the cycle. Boeing has a backlog of more than 5,000 commercial planes to work through. Many of those are high-margin narrow body jets that should be good for profit margins for years to come. Even a significant downturn in future orders would take awhile to make an impact, given the backlog. And the military business also appears to have robust forward prospects. Brazilian airplane manufacturer Embraer (NYSE:ERJ) has been a surprisingly resilient competitor with the larger players. While other competitors in the regional jet space, such as Canada’s Bombardier have struggled mightily, Embraer has more than held its own. In recent years, however, Embraer has seen a downturn in profits. A soft local economy in Brazil and Latin America hasn’t helped matters. But ERJ has a great product, and it should be in the sweet spot going forward. 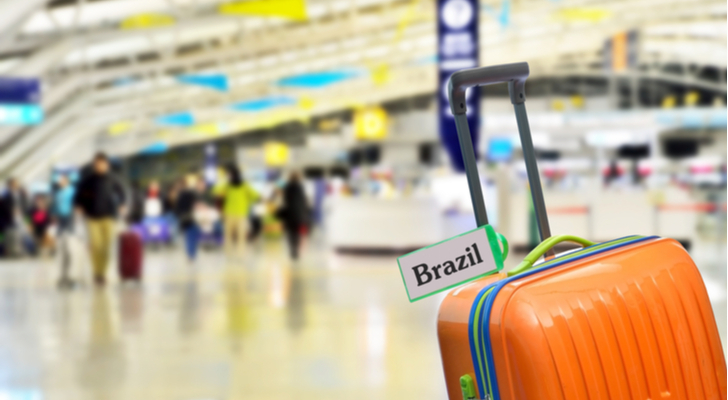 Emerging markets are growing their aviation markets much more quickly than developed markets, and 50-100 seat airplanes are ideal for many of these newly developing routes and carriers. ERJ stock has been all over the place in recent quarters. Brazil’s economic drama hasn’t helped. That economy crashed in 2015, started to recover last year, but is slumping again now. ERJ stock, not surprisingly, has seen great turbulence. However, a transformative partnership with Boeing should lead to a more prosperous future for the Brazilian firm. It will give Embraer access to Boeing’s supply chain and marketing capabilities, potentially resulting in significant upside for both firms. 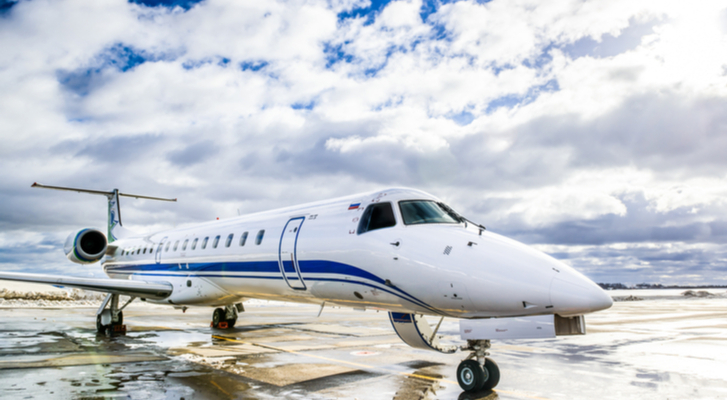 Embraer envisions a special dividend or other capital return to investors as the partnership plays out. 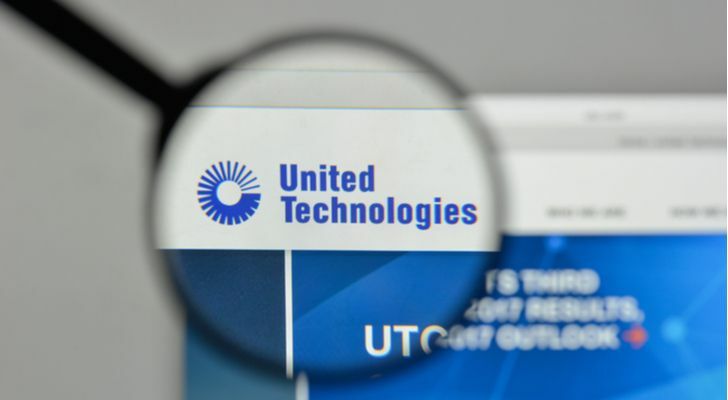 United Technologies (NYSE:UTX) is far from a pure aerospace stock. The industrial conglomerate has wide-ranging operations, including elevators and climate control solutions, among others. However, aerospace is arguably its most dynamic division. And its recent acquisition of Rockwell Collins (NYSE:COL) will only further United’s strengths in the defense sector. Rockwell brings many airplane interior systems to the combined company, including cockpit solutions, in-flight entertainment, oxygen, lighting, lavatory and other such products. The combination of United and Rockwell Collins is expected to deliver close to half a billion dollars a year in cost savings. The company trades at 18x trailing and 17x forward earnings, and it offers a reliable and shareholder-friendly dividend. On top of that, management is considering reorganizing the company once the Rockwell merger closes. A potential breakup of the conglomerate could unlock more value, especially if the aviation division were to trade separately. 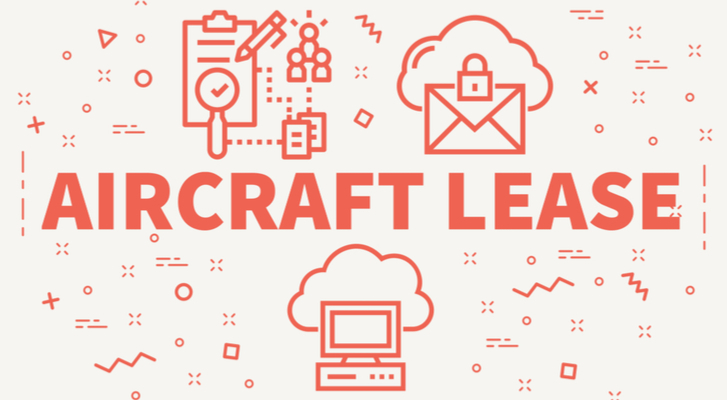 Given the potential concerns about being late in the commercial aircraft ordering cycle, it’s good to take a look at some other options for exposure to the aerospace and aviation industries. One such way is through aircraft leasing. Aircraft leasing companies are a sort of bank. They obtain relatively cheap financing from lenders and shareholders, and buy planes with the proceeds. In turn, they lend out the jets to airlines. 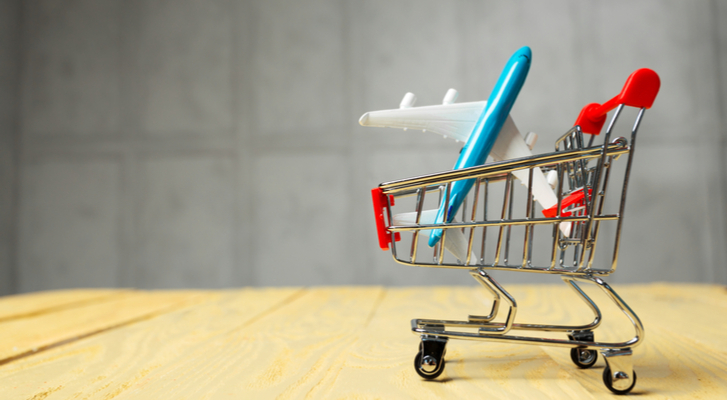 Since airlines have a history of repeated bankruptcy filings and poor creditworthiness, it’s often difficult for them to borrow money at reasonable interest rates. Thus, the aircraft lender can step in as a middleman and capture an attractive spread. Aircastle (NYSE:AYR) is a particularly compelling option within this space. It has a broadly diversified holding of different aircraft types and airlines to which it has leased planes. Aircastle comes with a strong operating history. And for yield investors, AYR stock offers one of the sector’s juiciest dividends. AYR stock offers a 5.5% dividend, and Aircastle has increased the dividend each year dating back to 2010. Airport management is an excellent business model. You pay for upfront costs — either building a new airport or leasing an existing one from a government — then you get many years of predictable and increasing cash flow from said airport with minimal capital expenditures. The model tends to produce large streams of cash that can fund rapidly growing dividends, share buybacks and further investments. Mexico’s Grupo Aeroportuario del Sureste (NYSE:ASR) is a classic example of this. Mexico privatized its airports into various private holding companies in the early 2000’s. ASR got arguably the plum airport of the bunch, Cancun. Other than Mexico City, Cancun is the nation’s busiest airport and it enjoys high non-aviation revenues as well due to the flood of wealthy free-spending tourists. ASR has played that strength into further acquisitions. Its San Juan, Puerto Rico airport holding took a big hit last year due to the hurricanes, and ASR stock tanked from $230 down to $170. But traffic there is starting to stabilize. Additionally, ASR just completed a major deal, picking up Medellin, Colombia’s international airport, along with five other Colombian properties. This gives ASR major diversification away from Mexico and access to one of Latin America’s fastest-growing tourist markets. Argentine airport operator Corporacion America Airports (NYSE:CAAP) is the world’s largest private airport operator in terms of numbers of airports controlled. It manages more than 50 airports across Italy, Eastern Europe, Argentina, Brazil and other parts of Latin America. 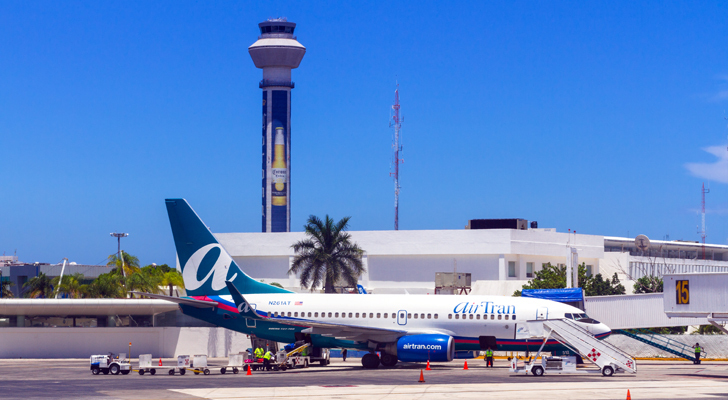 Unlike Mexican airport operators such as ASR, Corporacion America is a newer listing. It completed its IPO earlier in 2018. As a result, the business is still more capital intensive, as it is expanding operations at several of its key airports in Argentina, Brazil and Italy. CAAP stock slumped earlier this year, as investor sentiment turned against emerging market stocks in general and Argentina and Brazil in particular. CAAP, which IPOed at $16, fell to as low as $8. However, busted IPOs can often turn into great investments. In this case, Corporacion America is worth nearly $20-per-share if valued on a comparable EV/EBITDA basis to other developing market airport operators. Additionally, the company announced a major deal with Dubai’s sovereign wealth fund last week that will give CAAP access to more funding and deals in the Middle East. Shares have recovered to $11 already, and could move back on up toward the $16 IPO price in due time. At the time of this writing, Ian Bezek owned shares of UTX, AYR, CAAP, ASR and ERJ. Article printed from InvestorPlace Media, https://investorplace.com/2018/08/the-top-7-aviation-and-aerospace-stocks-to-buy-now/.